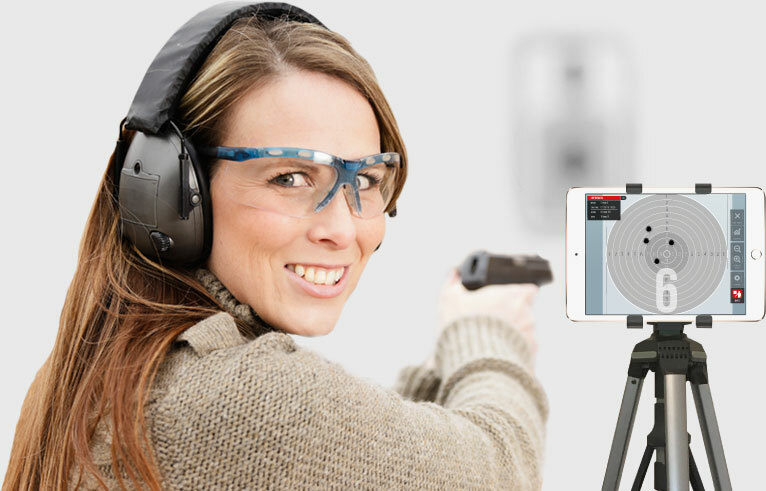 Shot Veryfier is an app for Apple iPhone and iPad (Android Version will become available in September 2016). 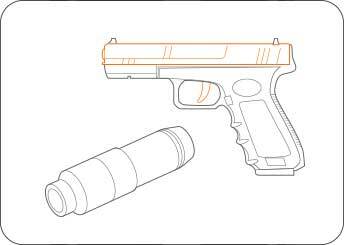 Shot Veryfier was designed to perform dry fire laser training at home in combination with a laser trainer bullet or laser trainer pistol. The fact that you do not need a bulky notebook and an externally cabled webcam makes your training easier and more flexible. Now you can practice your shooting skills in greater number of indoor locations and change your drill location in seconds. As an iOS application Shot Veryfier is intuitive and simple to use. It is suitable both for professionals and for those who want to explore the functionality of dry fire laser drills. And all that at an affordable price. Fix the paper targets on the wall. 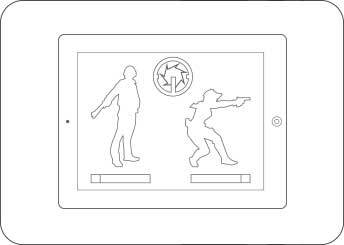 Place your iPad at a distance of up to 3 m to the targets. Start the app. The iPad camera captures your target. Start the drill and shoot at the target with your laser device from a distance of 5 to 10 meters. 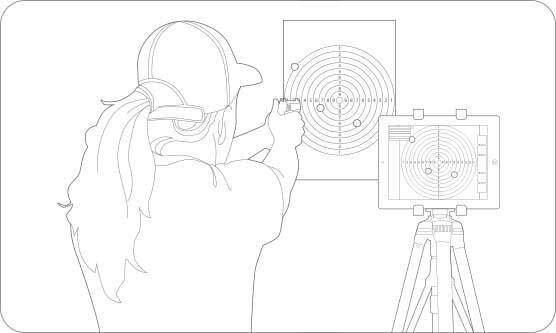 The app registers laser hits on the target und displays them on the iPad in real time, so you can see your results immediately. The app offers a variety of settings for drill customizing and evaluation of drill results. For more details refer to the Quick start menu. For the laser training cartridges or laser training pistol we recommend that you take a look at the SureStrike cartridge from laser-ammo USA or Sweden (for european clients), which we succesfully tested together with Shot Veryfier. 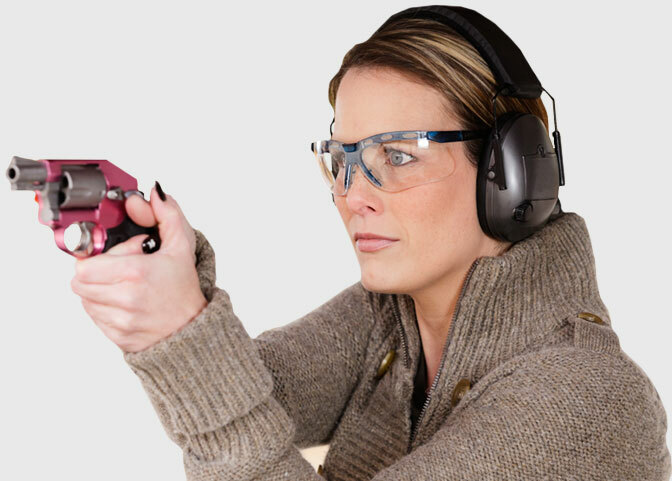 Also we would recommend the SIRT Pistol from Next Level Training. 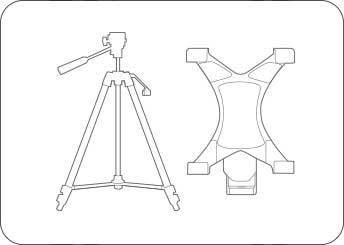 Camera tripods and iPad tripod mount adapter are availble in a variety of versions on amazon. You do not need the the pricy versions. A simple and affordable one is enough. *Note: The IR-laser trainer aids are not supported at the moment. We are working on it and will offer proper solutions later. Demonstration using SureStrike Cartridge from Laser-Ammo and SIRT Pistol from NextLevelTraining.